The Carnegie Endowment has partnered with Mint newspaper to produce a 10-part series on the post-election national agenda. The first piece in the series, written by Ashley J. Tellis, Senior Associate at the Carnegie Endowment and member of the CASI International Advisory Board, highlights the challenges that the new government will face. CASI Director Devesh Kapur and Carnegie Associate Milan Vaishnav will explore ways of strengthening the rule of law in a later installment of the series. These articles draw from a new book Getting India Back on Track: An Action Agenda for Reform which will be released in June. New installments in the series will be published each Wednesday until mid-June and can be found on the Livemint website. 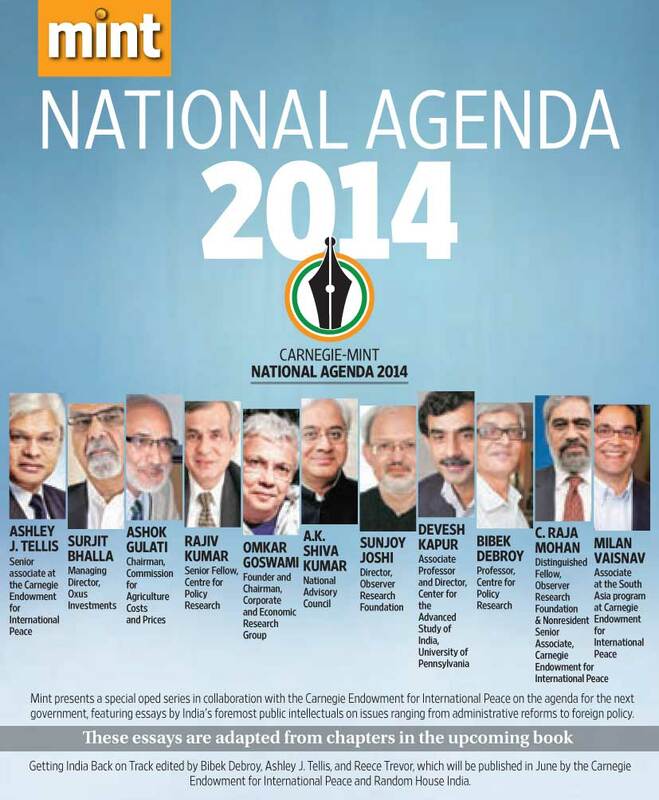 Categories: Uncategorized | Tags: Lok Sabha Election 2014, post-election | Permalink.